Alicesoft’s RPG venture into siscons and monster girls, Evenicle, has come to Steam. Evenicle takes place in a fantasy world governed by the goddess Eve. She has set two rules for the inhabitants of her land: You shall not kill, and you will not marry more than one person. However; the second rule has an exception: knights dedicated to protecting others from monsters and outlaws are allowed to marry many people, as to better spread their genes. There’s no magic directly prohibiting you from breaking these rules, but if you do, the goddess will curse you so that you won’t be able to produce sustenance from the earth. Crops will refuse to grow, mines will be barren of valuables, and animals won’t listen. You will be bound to become an outlaw, hunting and thieving to survive, forever shunned by society. Our siscon hero Asterisk wants to marry his twin sisters, but he doesn’t want to become cursed, so he chooses to become a knight instead. He has to climb in rank to earn his right to marry more and more women and is now tasked with protecting others from monsters and evildoers, which drives his adventures. 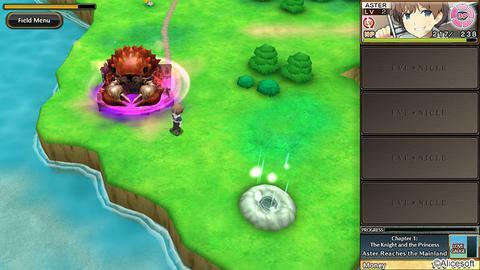 The gameplay of Evenicle consists of traditional RPG fare, with Asterisk questing, exploring dungeons, and slaying monsters. 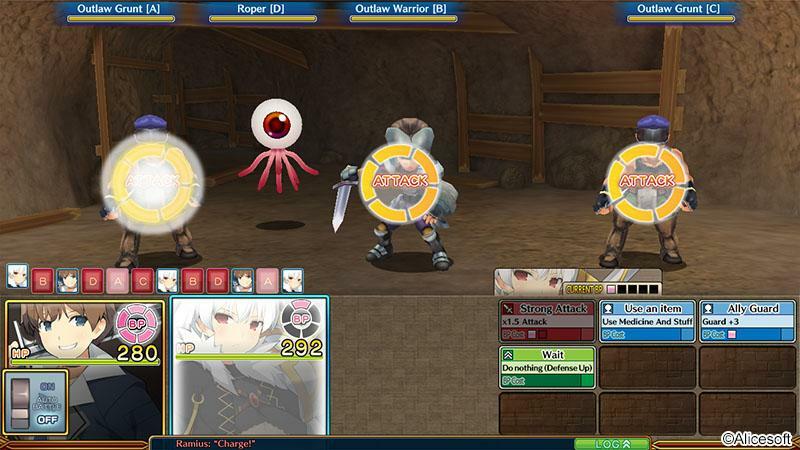 To shake things up, Alicesoft has included a couple of extra systems in the game, like the ability to capture monster girls in combat, and a considerable amount of world bosses called Megamonsters. You can find out more about the game in our review. You can now purchase Evenicle on Steam for $38.24 at 15% off. After the sale ends on October 17th, the game will return to its normal price of $44.99. The game is also available on MangaGamer for $38.20 on sale and will cost $44.95 after.